Part of being a parent is handling the difficult things that come with being the caregivers for our babies. We recently sat down with a financial planner to have many of our money and mom questions answered. What is the #1 thing financial planners wish parents knew when planning for their financial future? The MOST important thing is to START NOW, stop procrastinating and stop making excuses. Ideally, you should begin before you even start your family, but seriously, there's no such thing as the right time, you just have to start. Success habits are developed, so time is more important in amassing wealth than the dollar amount. Success habits are all the mundane things we hear: stay out of debt, pay yourself first, make a budget, live below your means. All these platitudes are the ingredients of financial success. The second most important thing is to save in the right vehicle. Mutual funds are by far the superior investment choice for any long term savings, as they are asset allocated, diversified and professionally managed. There are a number of mutual funds that you can start with as little as $25 per month, so there is no excuse not to get started. What is the biggest mistake you see new parents make when it comes to planning for their children's future? Other than the fact that they don't get started sooner, believing they have enough time, is the fact that parents save for their children in wrong vehicles. Buying cash value life insurance for your child, such as the Gerber "Grow Up" plan, is a horrible savings plan for a child, as it is life insurance is NOT a savings plan, regardless of the sales pitch you received. So saving for a child in a life insurance plan is a big mistake. An almost equally poor choice is saving for a child with US Savings Bonds. It takes 18+ years for the bond to be worth the face amount, which equates to an approximate 4% interest rate. This is better than the banks, but you could do much better amassing savings in mutual funds. You can invest in mutual funds as a custodian for the child (UGMAs and UTMAs) or you can elect to have the monies earmarked for college (Coverdell ESAs or 529 plans). Another big, related mistake parents make in planning for their children's future is by NOT getting life insurance for themselves. Parents must take responsibility for their children, and the expenses of raising that child, until that child is self-supporting. Low cost, level term life insurance is an ideal option for parents to provide adequate financial resources for their children should they (the parent) pass away prematurely, and they can phase the plan out as the children grow up and their liabilities diminish. Unfortunately, many parents mistakenly believe their child will get financial aid and so they use this as an excuse for doing no planning at all. The reality is that financial aid had gotten much harder to obtain, and with schools costing close to a middle income annual salary, parents, and their children, need to be pragmatic when it comes to paying for school. Firstly, a child can get loans to go to school, the parent cannot get loans to retire. Therefore, retirement planning should always take precedence over college planning. Secondly, I am a big fan of putting the responsibility for higher education on the student, not the parent. One client of mine made their children take student loans for their college costs, with the understanding that, if the child maintained an A average throughout their 4 years of college, the parent would take the loans over upon graduation. However, if the child was going to college to goof off, they would be responsible for the expense of that experience. And guess what? Not only did their children all choose well accredited but moderately priced state schools, but they all graduated with As and got great jobs. And because those wise parents were planners, they had money saved so that when the student loans came due they paid them in full. That being said, there are two tools to help save for college, and as such, both will offset financial aid. That's the whole point - you either save with the intention of spending that savings on schooling, financial aid notwithstanding, or you hope you get financial aid and save nothing. Two college accounts that parents can take advantage of are the Coverdell Education Savings Account (which is privately directed, and can be used for all schooling, not just college - max $2000/year savings and tax free when used) and the 529 Plan (which is state directed in most cases and can only be used for college - max $110k lifetime savings, state tax deductible in most cases and tax free when used). Do you have suggestions for teaching children about financial literacy early in life? Do you have an opinion about chores being done for allowances? What ages are good for beginning this? Any effective teaching involves collaboration. Get your children involved in financial decisions. Teach them the balance of saving and spending. There was a famous study done to test the correlation between the ability to delay gratification and success and it involved children and marshmallows. The children were given a marshmallow and were told, if they could wait an hour without eating it, they would get three more marshmallows. Needless to say, the children that exercised restraint were found to develop more successfully and financially in their lives than their immediate gratification counterparts. Another client of mine teaches their child that every dollar she gets she must split into three accounts - one for herself, one for savings and one for household contribution. This teaches familial responsibilities and eliminates the "entitlement" attitude so prevalent amongst young people today. Which brings me to the point of "allowances". An "allowance" is gratuitous, and I believe develops a misunderstanding about money. A client of mine does not pay his child for chores, as chores are what is expected of you for being part of a family. However, he does pay his child for how many books his child reads and writes a one-page report on. This reinforces the idea of pay for achievement oriented work. I love the idea, and so does his kid. This young child is more well-read and has a bigger vocabulary than most adults. What a great advantage! Many parents avoid the conversations about life insurance and health care proxy paperwork. Can you offer a quick summary to guide nervous parents through this process? · If you die too soon: Life insurance does not protect someone from dying. It replaces the income that person contributes to the family. Think about this - we insure our car worth $30k for about $2000/year; our home worth $400k for about $1800/year and yet, if you earn $50k/year and you will work for the next 20 years, that's a $1m "asset" that we can insure with a low cost, level term insurance plan for about $1000/year and we don't do it? Makes no sense. A big mistake is not insuring a stay-at-home parent, mistakenly thinking he/she doesn't earn income, yet the "job" they are doing would cost out-of-pocket money if they were no longer around, so figure out what that cost is and get insurance on them too. Who can help you: an insurance broker that offers only level term insurance. If someone is trying to sell you cash value insurance, find someone else. Cost: depending on age/term/amount - $50/mo - $150/mo. · If you live too long: A will, a health care proxy, power of attorney and in some cases, trusts, are essential tools to protect your family should illness strike a family member. Think about this: if you don't set these directives in advance, and something happens and you can no longer speak on your behalf, a court will make decisions for you, and they will deplete you family's assets in the process of doing so. Who can help you: an attorney specializing in estate planning. Cost: depending on complexity - $1500 - $3500. What tax tools are available to parents that can help alleviate the costs of raising a child? Some parents seem overwhelmed by FSA and DCAs for tax purposes? For example, why can't day care costs always be tax deductible? Can camp be covered by dependent care accounts? While this is a question better addressed to a tax professional (I am a financial advisor), I can comment on the following. Firstly, tax tools are of value to parents in proportion to their tax bracket - the higher the tax bracket, the more impactful tax tools become. That being said, from a tax perspective, anything that allows you to shelter income from taxes is a bonus and should be capitalized on. For example, FSAs, HSAs and DCAs are options to stash PRE-TAX dollars to cover out of pocket medical and dependent care expenses. In some cases, that money can be rolled to the following year. Health insurance plans with higher deductibles have lowered premiums, thereby saving monthly budgeting expenses. This may sound trite, but my advice is - if you are overwhelmed, get advice. The cost of ignorance is ALWAYS higher than the cost of a trustworthy advisor. What tools are available for a family to make decisions about child care? We hear many moms say they wish they could stay home instead of sending the child to daycare, and we encourage the families to make a hard analysis on their lifestyles. Decisions about childcare should be made BEFORE the baby arrives, so that parents can be prepared to make better financial AND emotional decisions. One of the biggest problems parents face is they fail to do due diligence on important items like this, and as such, allow circumstances to control their decisions. Then they are plagued by emotional and financial stress. Child care is and emotional and a financial decision, and there is a saying - if you want to do something, you will find a way and if you don't want to do something you will find an excuse. I believe, therefore, that the emotional decision should be made first. What do you want for your child's care? Once you know that, then its simply a matter of finances. Can your budget fit on one parent's income, can the stay at home parent earn income from home, can both parents save enough money while they are working and before the baby comes to allow one parent to stay home. While there are childcare calculators on the internet that allow you to evaluate the expense of working vs. the expense of staying home, I really think it boils down to the emotional decision and what the parents want EMOTIONALLY for their children. Then, so long as planning is done in advance, the finances can always be worked out. 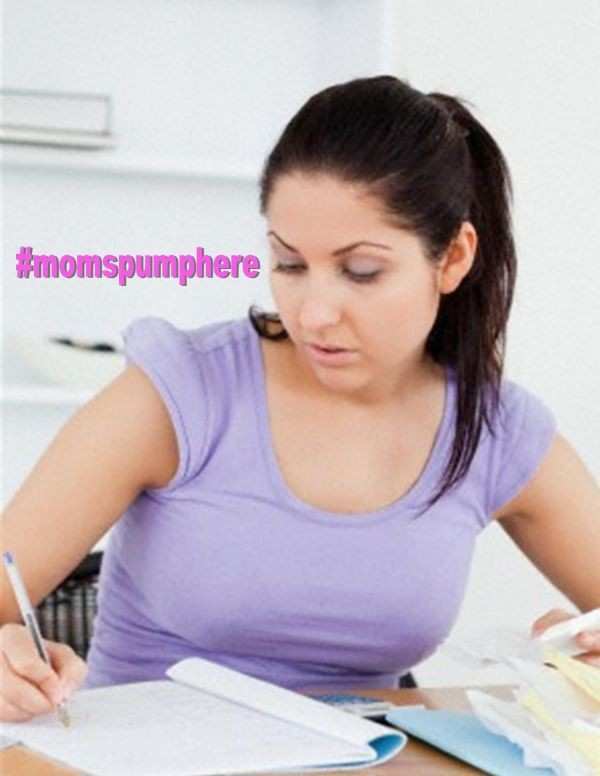 We at Moms Pump Here are very thankful for the advisement of Eugenia Morezzi, Esquire and Regional Vice President of Primerica for this special segment. She can be reached at (516) 236-3378 or www.primerica.com/morezzi.